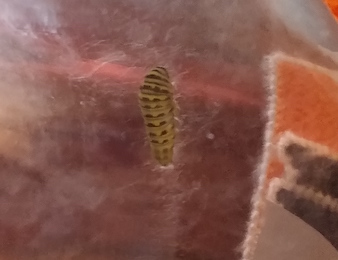 Two weeks ago, a friend from church dropped off a jar with a caterpillar and parsley plant inside. 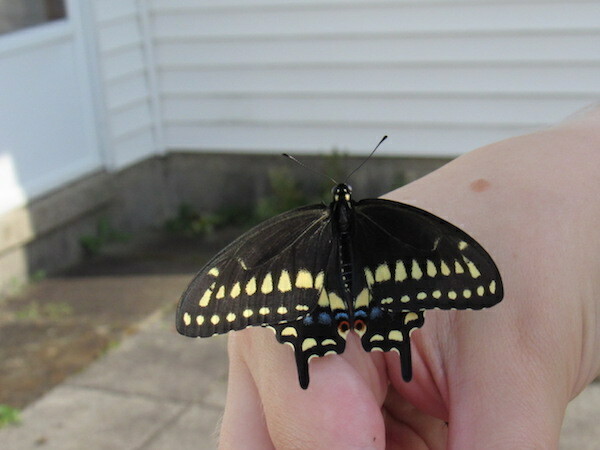 He told us to keep an eye on it and it could turn into a swallowtail butterly! Well, the caterpillar chomped and chomped and ate just about all of the curled parsley plant! 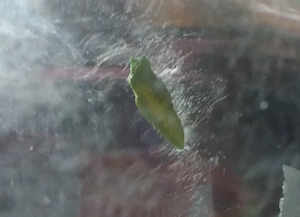 A day or two later, we found him inside a chrysalis, which hung from two threads off the side of the glass. 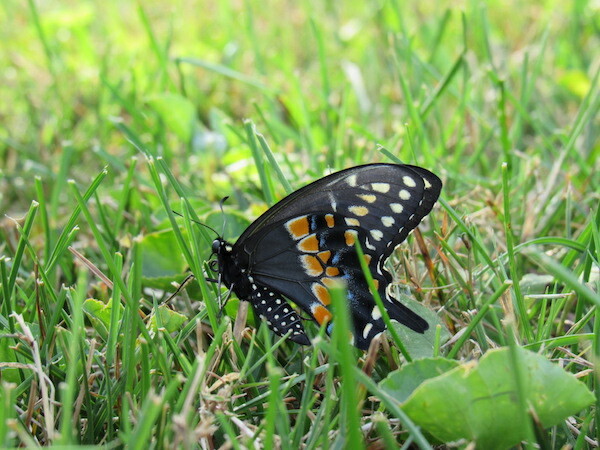 The butterfly was just beginning to slowly open and close its wings. 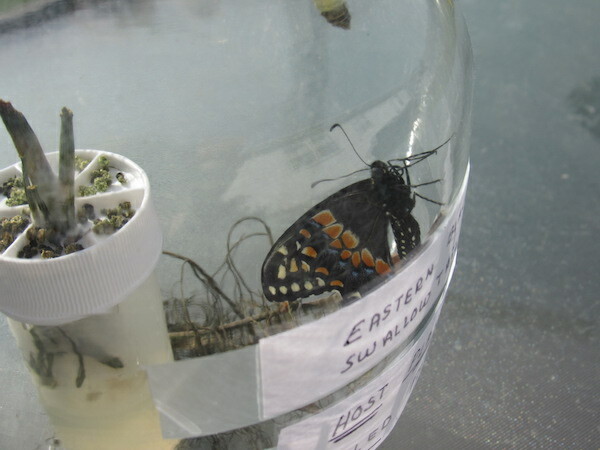 We took the jar outside and took the fabric screen off the top. He clambered a little, but had some trouble getting out, so we stuck a weed down into it and he crawled up the stem onto my hand. Heh, his feet felt like whiskers! He tried flying, but didn't get very far. 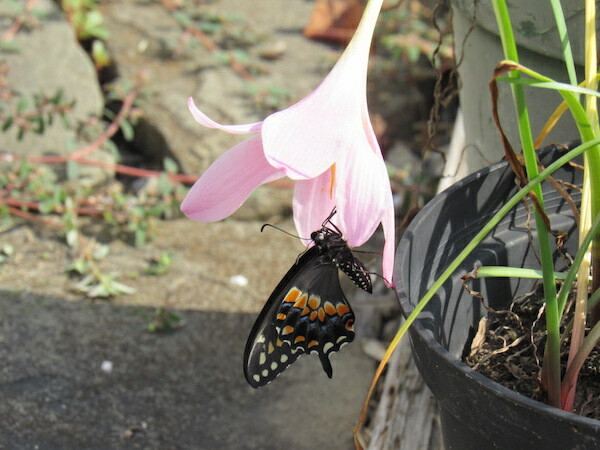 We helped him find his way to a flower - one of the rain lilies. He stayed there a little while and we waited and waited. Finally, after another long rest, he took off, over the house, and down across the neighborhood. We watched until we couldn't see him anymore.